Once again we reach the end of the year with a review of the company's progress and future opportunities through our annual shareholder letter. The past twelve months have been a transitional time for Global Water Technologies as we've continued to focus on opportunities to deploy smart water solutions that improve efficiency in drinking water systems. We identified this emerging area as a good fit for our small company to serve as a catalyst for innovation by using sensors and software to reduce water loss from hidden leaks and damaging water main breaks. We have also added tools to better engage customers and provide complementary services for utilities. Our early efforts in this area have been recognized and positioned the company well, as others are realizing the growing potential in this sector. A new report on smart water networks predicts the global market will grow from $1.1 billion in annual revenue in 2013 to $3.3 billion in 2022, with most of the growth in North America. Global Water Technologies has been developing strategic relationships across the sector and during 2013 we made presentations on our plans at the city and state levels here in Indianapolis, Indiana and also in New York, Washington DC, Chicago and Houston. We participated in a needs assessment conducted by the Environmental Protection Agency for reducing water loss through information technology and were a guest of the Dutch government to address similar efforts at International Water Week in Amsterdam. During the year, the company also acquired two small companies that brought additional resources to our smart water efforts and will operate as new subsidiaries of Global Water Technologies. GreenSuite is a software-as-service (SaaS) start-up launched as part of the dynamic tech sector in Indianapolis. It has developed an early version of customer dashboards that help utilities improve their service with better usage data, information, education and rewards. Water and Sewer Innovative Resources (WASIR) is a small consulting group that has considerable engineering and construction expertise in underground infrastructure systems and new technologies. Both GreenSuite and WASIR were acquired in all-stock transactions that include incentives for revenues recognized in 2014. We believe this aligns the interests of all parties in building Global Water Technologies over the next twelve months. We have also begun the process of integrating the new entities with our existing Electric H2O subsidiary to recognize the benefits of additional resources for the entire company. Building revenues is a top priority for the company in the coming year and a great deal of effort has been invested in the early stages of that process in what is traditionally a slow and conservative industry. While the company has made good progress in 2013, the year has not been without its challenges. The primary difficulty for the company has been operating with very limited working capital and financial resources. The company began the year with minimal funds and has operated by raising capital from several angel investors and deferring compensation. This has resulted in a bifurcated year with excellent results for the company's vision and future direction coupled with poor results in cash flow on its operating statements. However, the company has taken great care to protect the interest of its shareholders by rejecting any short-term financing that could be considered toxic and damaging to future potential. Instead, we have built relationships with strategic partners and investors who wish to see the company succeed in the long term. We have also continued to operate in an extremely lean manner to make the best use of available capital and preserve the share structure. At the end of 2013, the company has 16,318,605 shares of its common stock issued and outstanding. The company has also continued some efforts outside its primary focus on water efficiency. 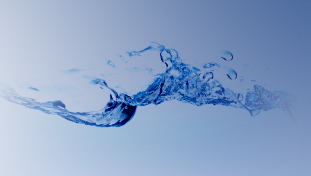 We successfully transitioned out of some small service contracts with Electric H2O to concentrate on product sales. And despite some delays with its partner on a pilot system related to the company's patent on the on-site production of sulfuric acid, that work is also continuing. Another effort that continues is the work to upgrade the company's reporting status and the possibility of making future SEC filings, with audited financial statements. The company has been working with its securities attorney and accountant on this effort and believes such action can provide benefits in better accessing capital for Global Water Technologies and all its subsidiaries. We wish to thank both our new partners and shareholders and all those who have been long-terms investors, customers, partners, vendors and staff of Global Water Technologies. Together we look forward to an exciting new year!